The exact type of weapons deployed were not specified in an exclusive report from Australian news agency The Sydney Morning Herald. It states, however, that Australian officials are worried that China will follow up by deploying long-range radar and anti-aircraft batteries. In the Chinese Communist Party’s newly released military strategy, it shifted the air defense policy of its air force to allow for offensive actions. The Chinese regime has made clear its ambitions for expansion. Facing this threat, according to Richard Fisher, a senior fellow at the International Assessment and Strategy Center, the United States has a small window of time to act. “We are entering into a battle of perceptions, and we are attempting to add new layers on the argument that it is China that is the aggressor, the rule breaker, and the real threat to the region,” Fisher said. The Chinese regime is using a three-pronged strategy as it pushes abroad. It uses military to seize and defend territory, propaganda to justify its actions, and money to rope in business leaders, and politicians to influence foreign policy. It outlined its ambitions for expansion in the Chinese Military Strategy white paper released on May 26 by the Chinese Ministry of National Defense. The report outlines the Chinese regime’s interests in expanding its global influence, reeling in Taiwan, and expanding military control of the South China Sea and East China Sea. “This is the chain of events that we should be working on stopping now,” Fisher said. The Chinese regime’s ambitions for military expansion aren’t limited to just the South China Sea. It is currently looking to build military bases elsewhere, including in Djibouti in northeastern Africa, and in Namibia in southwest Africa. 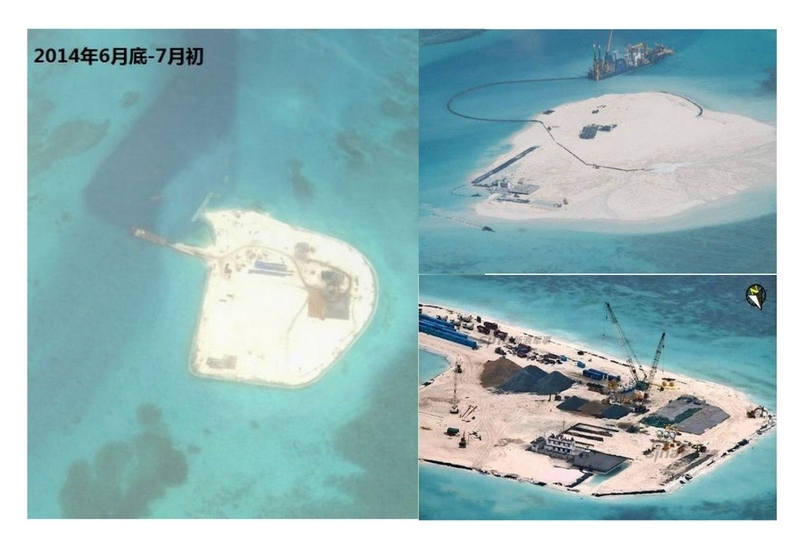 Reports published by Chinese media in November 2014 state the Chinese regime is trying to build 20 naval bases around the world, including in Pakistan, Sri Lanka, Burma, Djibouti, Yemen, Oman, Kenya, Tanzania, Mozambique, Seychelles, Madagascar, North Korea, Papua New Guinea, Cambodia, Thailand, Bangladesh, Maldives, Nigeria, and Angola. According to The Namibian, a report on the bases published in the Chinese newspaper International Herald Leader states the bases will give the Chinese military “three strategic lines” in the northern Indian Ocean, western Indian Ocean, and South Indian Ocean. Fisher noted that when the Chinese regime’s military and business ties are taken into account, it could also soon have influence over major trade chokepoints in Central America, South America, the South Atlantic, and in the South China Sea. 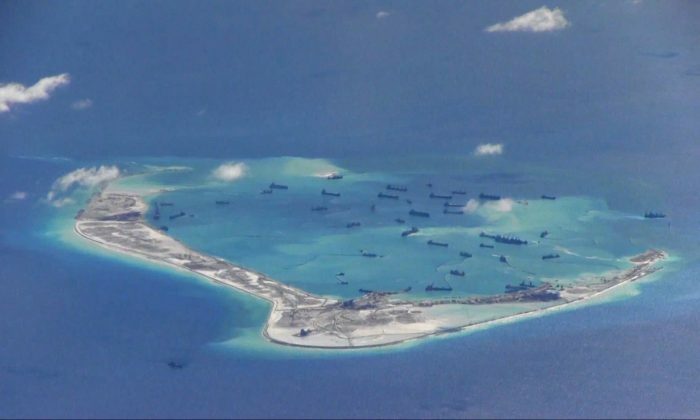 China threatens foreign jets while unveiling new buildings to feign peaceful intentions in the South China Sea. The Chinese regime releases first ever public strategy calling for "active defense." The "Divine Eagle" drone will give the Chinese military an ongoing eye in the sky for ballistic missiles and aircraft targeting.